When the Italian brand Wider launched its 150, the yachting world trembled a bit. It wasn't a truly earth-shattering experience, but the design and technologies were significant. The Wider may not have had impulse drives like the Starship Enterprise, or a hyper-drive like Hans Solo's Millennium Falcon. 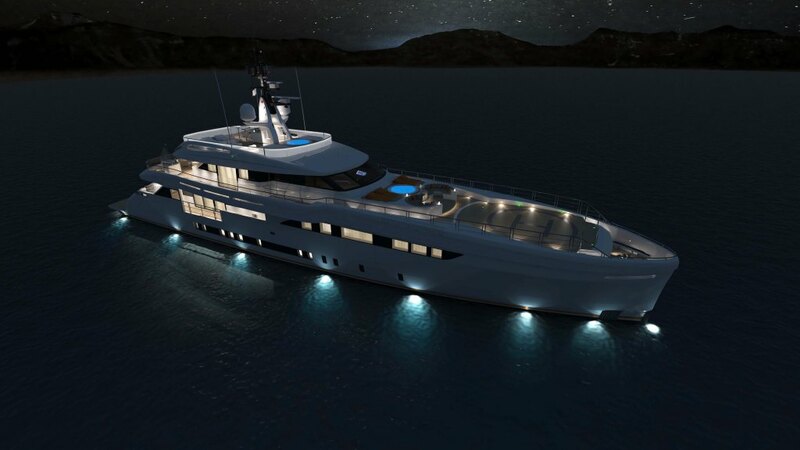 But the yacht's unusual interior design, combined with its diesel-electric and battery-bank propulsion system, represented forward thinking for the superyacht world. 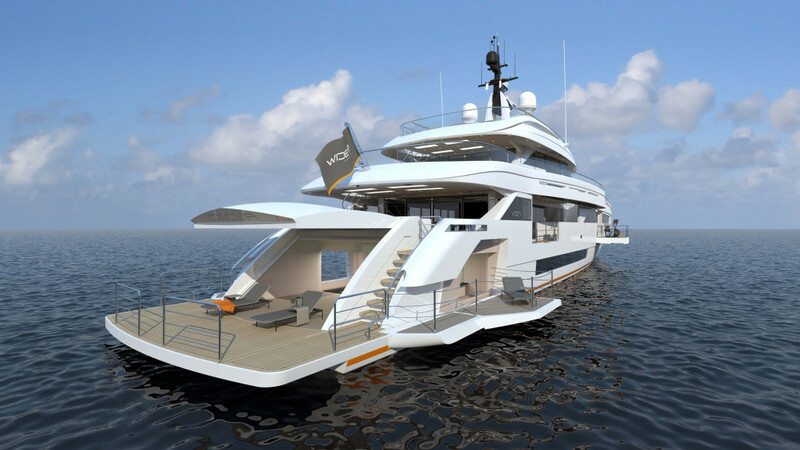 Wider has now supersized the original concept with last weekend’s launch of its new 165, Project Cecilia, which splashed from its shipyard in Ancona, Italy. The aluminum superyacht was conceived around how an owner would want to use his vessel, rather than being seen by others as a trophy boat. 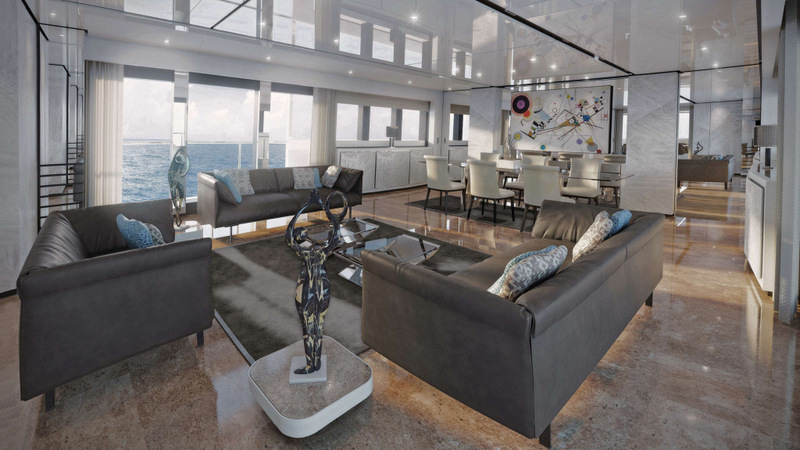 Designer Fulvio De Simoni, along with the Wider design team, created a wish list of features that includes a helipad, opening patio in the owner's suite, a private gym with terrace, large seating areas on the exterior (including inside the jumbo Jacuzzi), and an open-plan saloon and dining area with floor-to-ceiling windows. The yacht also has a one-of-a-kind tender garage that allows the Wider 32 to float in, and when deployed, it transforms into a saltwater swimming pool. 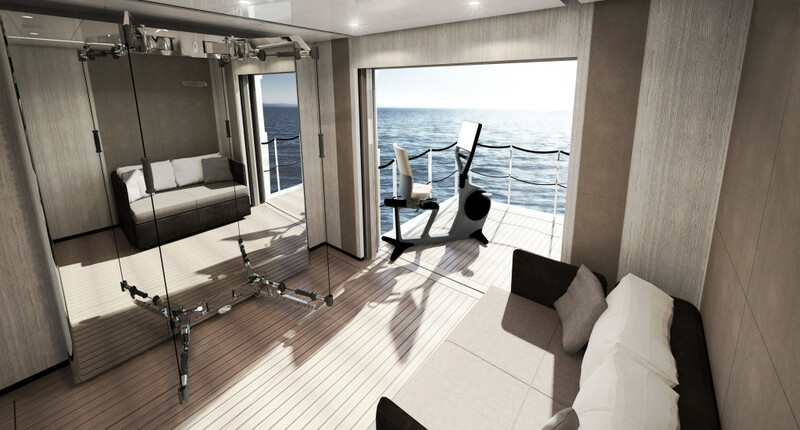 Thanks to the larger hull size, the 165 also has a sauna. The Wider's diesel-electric propulsion system has been combined with a Lithium polymer battery bank and Azimuthal pods that deliver significantly lower fuel consumption. In Zero Emissions Mode (ZEM), running on battery power at five knots is like being in a sailboat with the engines off, surrounded only by the sounds of wind and water. The smaller configuration of the Power Generator Room, which replaced the traditional engine room, gave Wider’s designers much more interior space for staterooms. The advanced technology is not just about miserly fuel numbers, but also translates into transatlantic range of 3,100 nautical miles at 12.5 knots, while the range increases to 5,400 nautical miles at 10 knots. Wider's interior design team used deep-sanded oak, Roman travertine stone, top-quality leathers, and Italian white marbles to give the 165 a simple-but-elegant look that exudes Italian flair, but without the over-the-top opulence in some Italian designs. 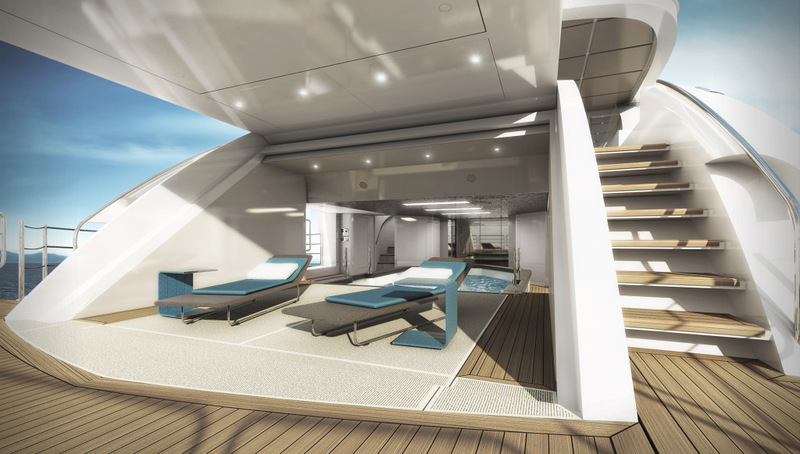 The 165 has a full-beam master suite on the main deck, with four large guest staterooms below. There are also five cabins for the 11 crew, and a cabin near the wheelhouse for the captain. It's a special boat whose time has come.